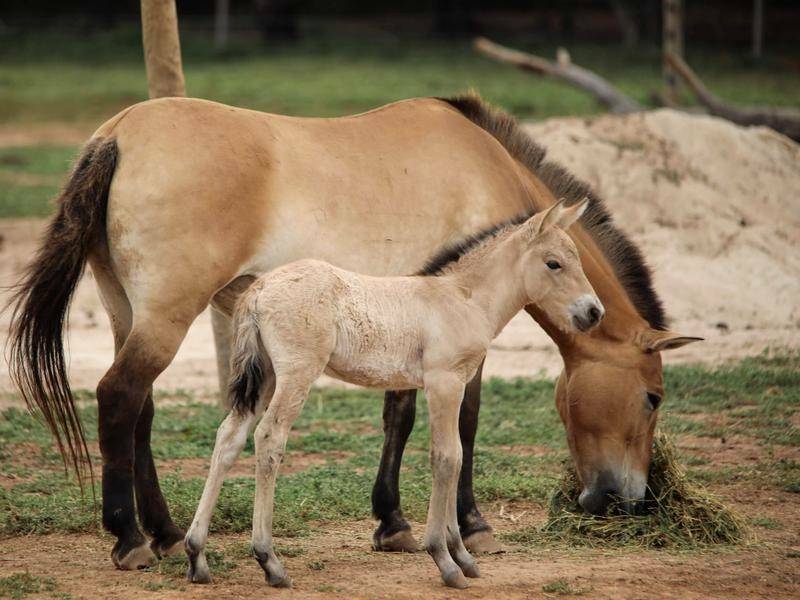 On January 8, 2019, the Werribee Open Range Zoo out of Australia had exciting news by way of a rare Mongolian wild horse foal! Named Bataar (Mongolian for “hero”), the sandy-coated foal with an adorable spiky mane entered the world as the son of Mahan, a mare also located at the African themed zoo about 32 kilometers southwest of Melbourne, Victoria, Australia. The Werribee Open Range Zoo is part of the Zoological Parks and Gardens Board or ‘Zoos Victoria’ which also includes Melbourne Zoo and Healesville Sanctuary. 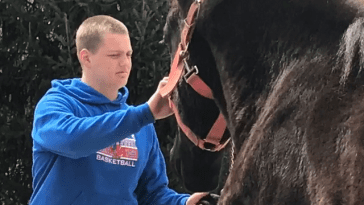 Shortly after his birth, the zoo shared his photos online of this horse that is considered to be one of only 2,000 Mongolian wild horses on the earth today. “Bataar’s got the whole herd looking out for him so he doesn’t have a trouble in the world. He’s growing stronger and more confident by the day,” zookeeper Linda Gardiner stated. Human intervention has helped to keep these extremely rare species of wild horse from extinction, as Bataar is a direct result of the successful breeding program at the Werribee Open Range Zoo. 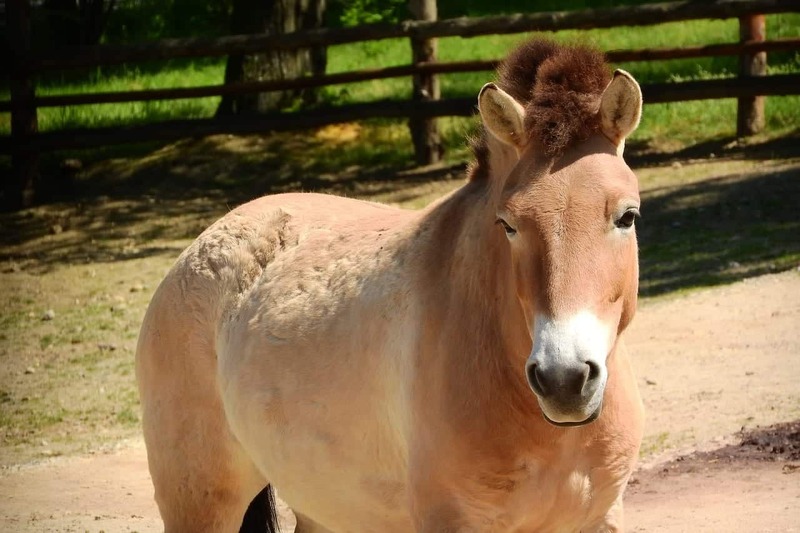 Naturally skittish and shy, Przewalski’s Horses were on the brink of extinction last century. A visit to Werribee Open Range Zoo provides a rare opportunity to see this species, which has never been tamed by humans. Przewalski’s Horses, also known as the Mongolian Wild Horse and Asian Wild Horse, once ranged across parts of Europe and central Asia. However wild numbers were dramatically reduced over the 19th century and in the 1960s the species was classed as extinct in the wild by the International Union for Conservation of Nature and Natural Resources (on the IUCN ‘red list’). In 2008 the status of the Przewalski’s Horse was reassessed due to the survival and discovery of a mature individual in the wild, and subsequently listed as Critically Endangered. 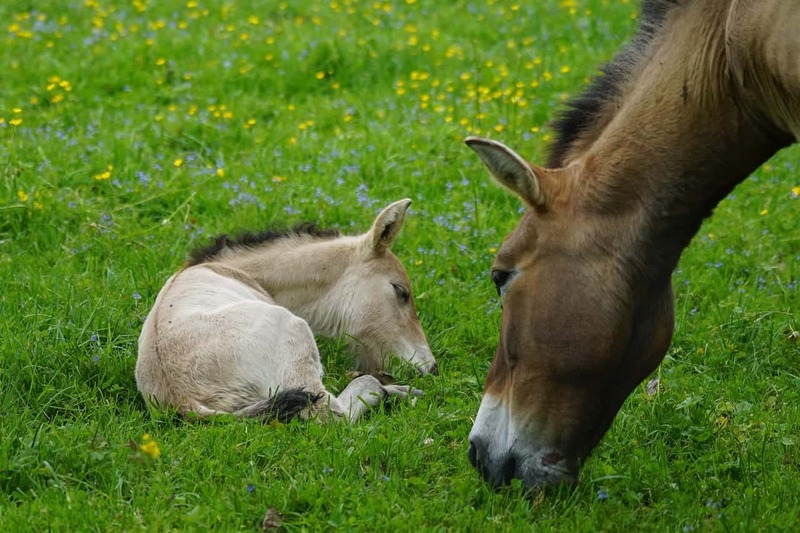 There have since been dedicated efforts to breed and reintroduce these animals into the wild The Przewalski’s Horse is now classed as Endangered with its population still increasing. While they are no longer hunted, they are still under threat from extreme winters, loss of genetic diversity, and loss of habitat and natural resources to domestic livestock. Efforts to bring this species back from the brink of extinction have resulted in numbers increasing steadily. 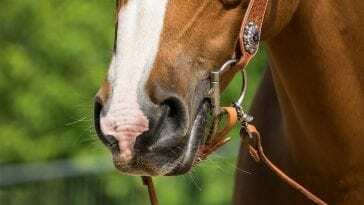 Such is the success of captive breeding programs that from 1992 to 2004, 90 Mongolian wild horses bred by 24 different institutions in eight countries (including Australia) were returned to the Gobi desert. Werribee Open Range Zoo is an important member of the international breeding program for the species, helping to continue its fighting extinction mission. There are now thought to be approximately 1,500 Przewalski’s Horses in the world. 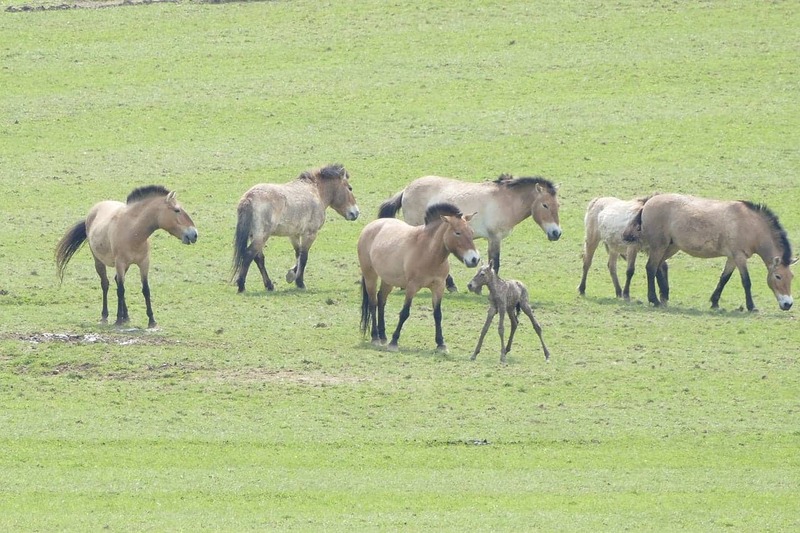 Typically Przewalski’s Horses inhabited grassy deserts and plains in Western Mongolia, but the horses have been reported to have lived at elevations of up to 8,000 feet. Przewalski’s Horses eat grass, plants and fruit and sometimes bark, leaves and buds. 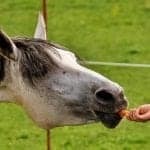 Lead mares usually lead the grazing activities. In the wild during the summer they usually graze in the early morning or early evening when it is cooler. They rest during the heat of the day and they sleep together in a cluster for about four hours a night. Przewalski’s Horses are social horses. 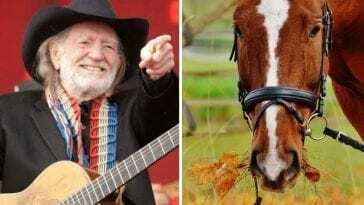 They will graze, rest and play together. They have individual friendships and live in groups from six to 16 animals. There are two types of herds: family herds and bachelor herds. 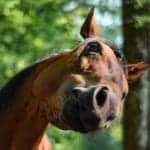 The family herd structure is highly developed and has a stallion with several mares and their colt and fillies. Bachelor herds consist of males that are either too old or too young to physically challenge a dominant male for their family herd. We wish you a long and happy life, Bataar!